She is just a couple of months old and she already lost her family. She needs some help now. Please SHARE, she may need some help. Thanks! 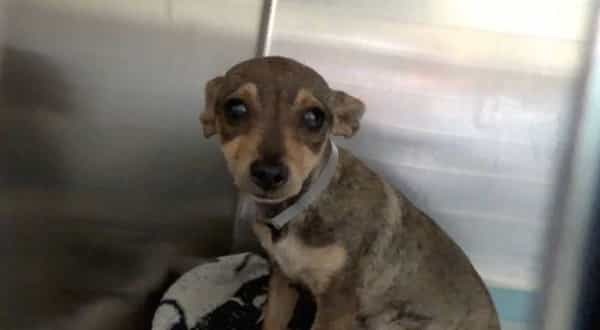 BITSIE, who at her young age seems to sense that the stakes are high, can often be found tucked away shaking in her favorite bed, cowering in fear from the noise and chaos that is the Carson Shelter. When the lights go out, and everyone goes to sleep, soft and subtle weeping could be heard coming from her kennel space. BITSIE cries herself to sleep every night wondering what on earth she did to deserve her new fate. Sad indeed. #A5139787 My name is BITSIE and I'm an approximately 5 month old female Manchester Terr. I am not yet spayed. I have been at the Carson Animal Care Center since 12/30. I will be available on 1/4. You can visit me at my temporary home at C408. 0 Response to "She is just 5 months old and she already lost her family, left with no more tears to cry"